AES-256 encryption with optional sharing. Is there a better alternative to Vault 101? 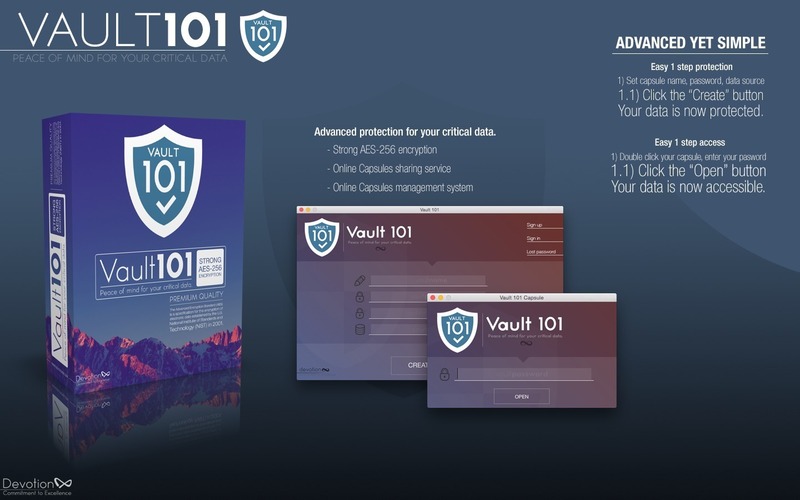 Is Vault 101 really the best app in Security category? Will Vault 101 work good on macOS 10.13.4? Since your capsule is encrypted, it's not possible for others to read it without your password. To view a capsule, just double-click it, enter your password, and click the "Open" button. Your data will appear on your desktop just like any other removable media (DVD, USB, etc.). You can optionally automatically upload your capsule on our server and send a download link via email to one recipient. Uploaded capsules are available for 48 hours. After that they are automatically deleted. Our server acts as a bridge between you and your recipient. You can also setup your own FTP server and configure Vault 101 to work with it instead. 48h limitations will not apply on your own FTP server.